Just came across this amazing driver HoRNDIS done by Joshua Wise . This driver solves the age old problem of tethering Android devices to Mac via USB in order to share the 3G/4G data connection of your phone. 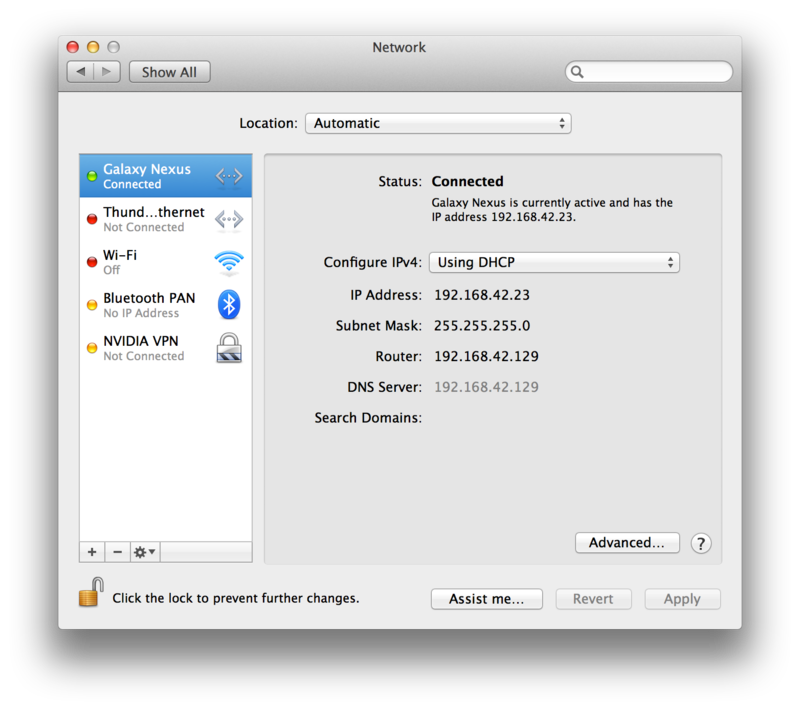 The “Network Preferences” pops up on your Mac screen with the Android connection added to the list of connections. Some users (like myself) might have to click “Click the lock to make changes.” in order for the connection to happen – maybe some minor bug. After a second or two, you can see the connection go GREEN.